Kerala is one of the most beautiful and best places to visit in India. There is a number of best places to visit in Kerala which holds the attraction of the tourists from all around the world. It is a beautiful state of India which has waterfalls, hilly areas, hamlets, cities, and many other things. In this article, I am sharing the top 10 best places to visit in Kerala. So, let’s start! 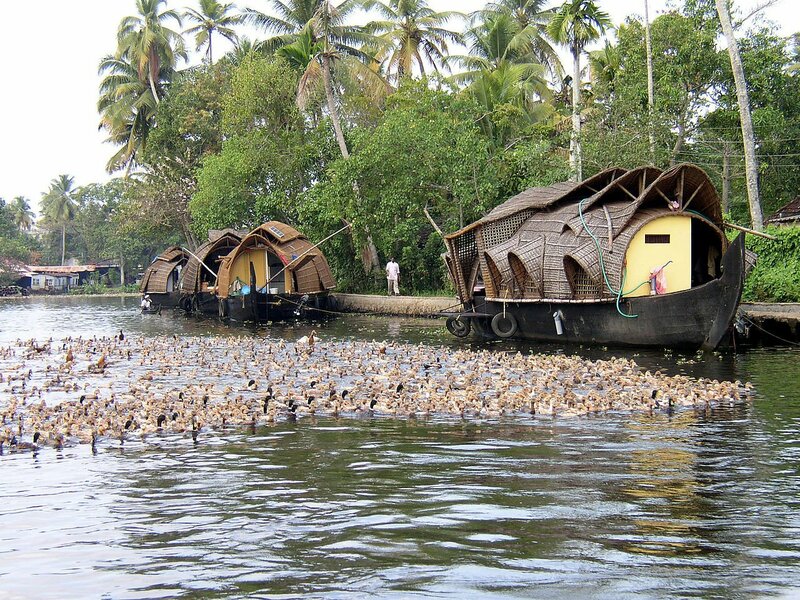 Alleppey is one among the top 10 best places to visit in Kerala. It is a beautiful place where the tourists can enjoy trips on the backwater, stays at the houseboats, and can enjoy the scenic beauty of India from all around. The tourists can enjoy the foodstuff which is given in the leaves of banana and coconut tree. You can enjoy the road trips on its beautiful and cleaned roads. 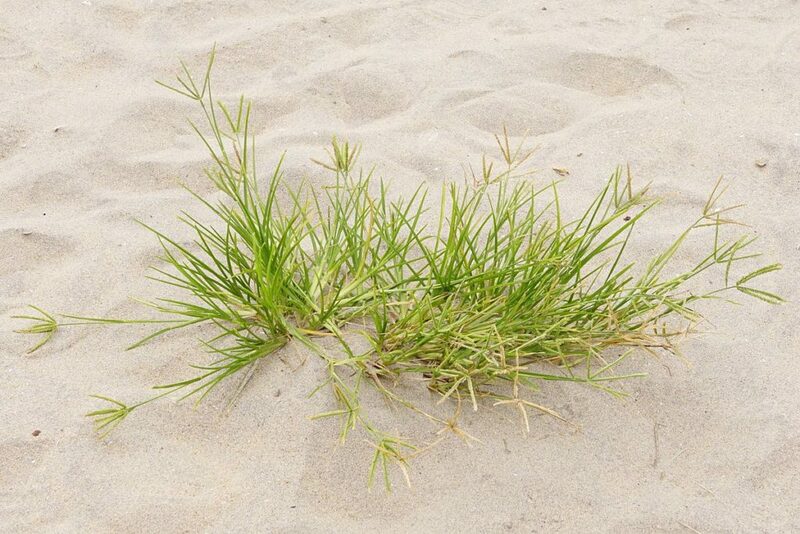 Things to do: You can enjoy at the Beach of Alappuzha and Marari. You can make a visit to the temple of Sri Krishna in Ambalappuzha. The tourists can enjoy a famous activity of snake boat race in the Alleppey. You can also visit the Palace of Krishnapuram, Revi Karunakaran Museum, and Punnamada Lake. If you are a bird lover then you must visit Kumarakom Bird Sanctuary. 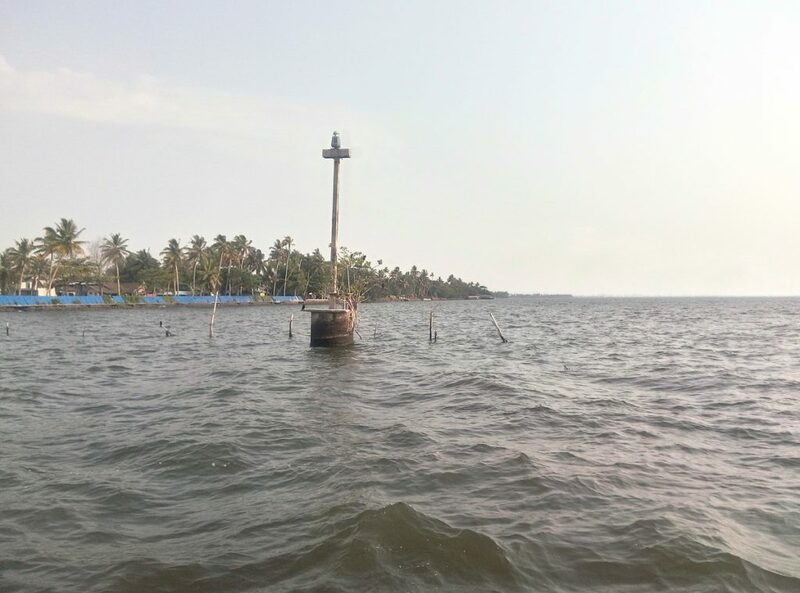 How to reach: The nearest airport is in Kochi, which is just 53 km away from this place and the nearest airport is in Alleppey. The tourists can take the bus or hire a taxi to reach this place. The Munnar is a beautiful place which is perfect for romantic holidays and honeymoon. 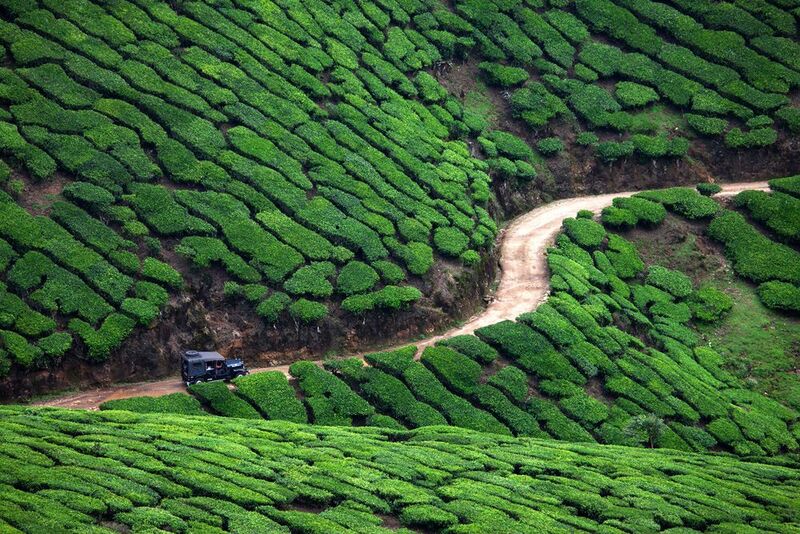 The place looks amazing with the presence of tea plants on the slopes of a hill from all around. This makes it one among the list of top 10 best places to visit in Kerala. it was also the summer capital for the British. The place is famous for farming of the tea. The tea plantation in this place is spread on an area of 80,000 miles. The place also has low flying clouds on the place which increases the beauty of this place. Things to do: The tourists must visit the Museum of TATA Tea which is such an amazing museum. You can enjoy the scenic beauty of tea gardens and can visit Blossom Park. If you love waterfalls then you can enjoy the Attukal and Cheeyappara Waterfalls. There is also an Eravikulam National Park where you can make a visit. How to reach: The nearest airport is in Kochi, which is just 143 km away from this place and the nearest railway station is in Aluva, which is just 110 km away. The tourists can take the bus or hire a taxi to reach this place. The Kumarakom place is one the best places to visit in Kerala which is famous for its stunning backwaters. It is one of the most peaceful places of Kerala. It has pleasant weather and surrounded by flowers, trees, and plants. This place is located near the Vembanad Lake which makes it one of the loveliest and best places to visit in Kerala. the tourists can enjoy fresh air, eat the organic food of Kerala, enjoy at the backwaters and most famous coconuts of Kerala. The tourists can enjoy a lot of activities at this place including boating, staying in the houseboats, fishing, and cruising. There are amazing waterfalls, the forest of mangroves, and many interesting things to enjoy. Things to do: You can enjoy the organic food of Kerala at this place. The tourists can enjoy with their families at the backwaters and for waterfall lovers, you can make a visit to the Aruvikkuzhi waterfall. For bird lovers, there is a park of bird sanctuary where they can visit. The couples can visit the lovely island of Piramal. There is also a famous temple Thirunakkara Mahadeva, where you can visit. How to reach: The nearest airport is in Kochi, which is just 85 km away from this place and the nearest airport is in Kochi, which is just 16 km away. The tourists can take the bus or hire a taxi to reach this place. The Wayanad place in Kerala is famous as the land of heavenly trails. It is the land of paddy fields located in Malayalam which make it one of the greenest places of Kerala. It is one of the best places to visit in Kerala for trekking. 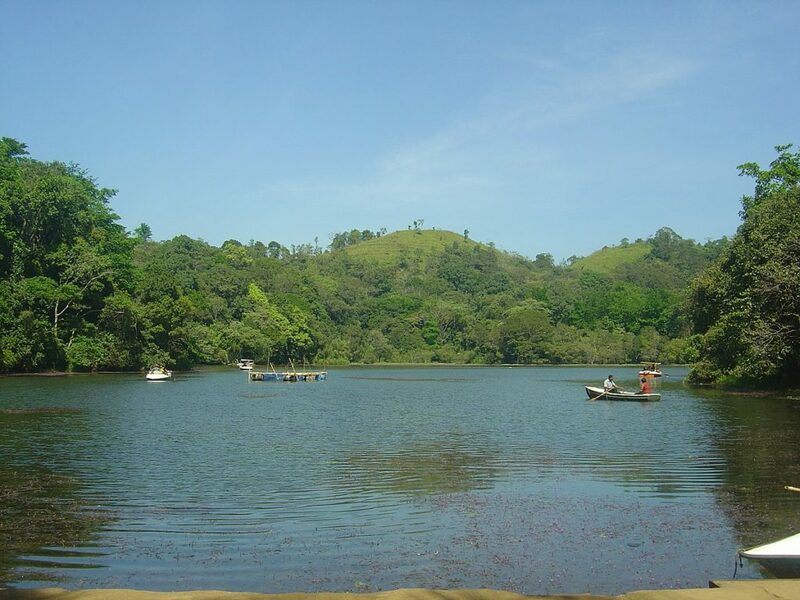 The Wayanad has a serene atmosphere and the beauty of this place is gifted by God. There are a number of small and large waterfalls in the place which increases the beauty of this place. Things to do: The tourists here can enjoy the waterfall of Thusharagiri, which is the amazing waterfall. You can visit the temple of Thirunelli and Puliyarmala Jain. There is also a Dam and Padinjarathara river where you can make a visit. How to reach: The nearest airport is in Calicut, which is just 95 km away from this place and the nearest railway station is in Kozhikode, which is just 72 km away. The tourists can take the bus or hire a taxi to reach this place. 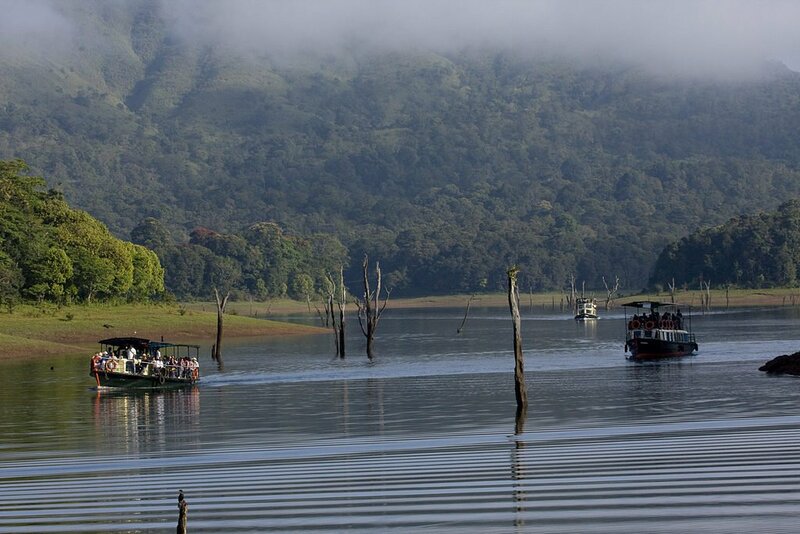 The place Thekkady is one of the best places to visit in Kerala for watching the wildlife. It is one of the most famous and best places in Kerala for watching the herd of wild Elephants. It is a beautiful place which is situated in the wild and thick forest. There are many different species of animals found in this place including Lion, tiger, Elephants, deer, boars, Gaurs and many others. It is one of the most famous trekking trails available in south India. Here the tourists can enjoy the wildlife and boating. Things to do: the tourists here can enjoy the boating and can watch the wild animals. There are various species of animals which you can see at this place. You can also visit the Mullaperiyar dam and culture center of Mudra. How to reach: The nearest airport is in Madurai, which is just 136 km away from this place and the nearest railway station is in Kottayam, which is just 114 km away. The tourists can take the bus or hire a taxi to reach this place. The Kottayam is one of the best places in Kerala which is famous for making fun at the Beach. This beach is one of the major tourists gathering spot at the time of New year celebration. The tourists come here to enjoy Ayurvedic Massage and treatments, for taking a sunbath, and for enjoying the various water sports. The coastline of the beach is semi-circular which makes it look beautiful. Things to do: The tourists can enjoy the beaches of Kottayam. There are beautiful and amazing beaches including Beaches of Lighthouse, Hawah Beach, and Samudra. They can visit the lighthouse. There are also beautiful Akkulam and Vellayani lakes where you can enjoy with your family. How to reach: The nearest airport is in Trivandrum, which is just 15 km away from this place and the nearest railway station is in Trivandrum, which is just 14 km away. The tourists can take the bus or hire a taxi to reach this place. 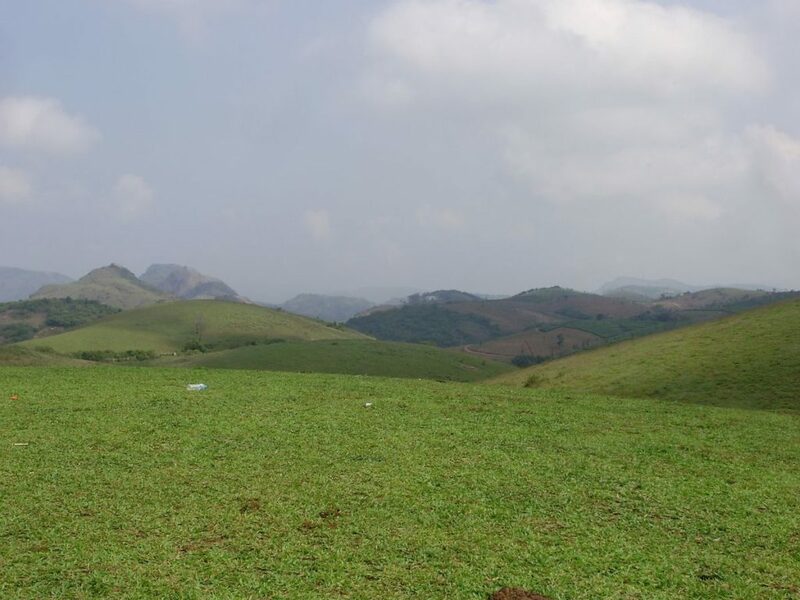 The Vagamon is a small town located in Kerala which is famous as an offbeat place. It is a beautiful hill station which is decorated with tea plantation, Mystical gardens, beautiful valleys, and gardens. All this make it one of the best places to visit in Kerala. The tourists come here to enjoy the scenic beauty of all around and to take the fresh air. Things to do: The tourists can enjoy the tea gardens and beautiful hill station view of the surrounding area. You can visit the hill of Barren, Thangal, and Murugan. There is also amazing Vagamon and Maramala waterfalls where you can make fun. How to reach: The nearest airport is in Kochi, which is just 94 km away from this place and the nearest railway station is in Kottayam, which is just 15 km away. The tourists can take the bus or hire a taxi to reach this place. The Bekal is a beautiful place in Kerala. It is just like a Heaven comes on the earth. This place is most famous for its beautiful and colorful sunset and amazing fort of Bekal. All this make it one of the best places to visit in Kerala. This place is also used to shoot various movies like Rang de Basanti and others. The tourists can enjoy the air of seeing passes through their hair. It is also one of the best places to enjoy for the Honeymoon. Things to do: The tourists can make a visit to the Temple of Ananthapura and Mallikarjuna. They can enjoy the scenic beauty of this place. 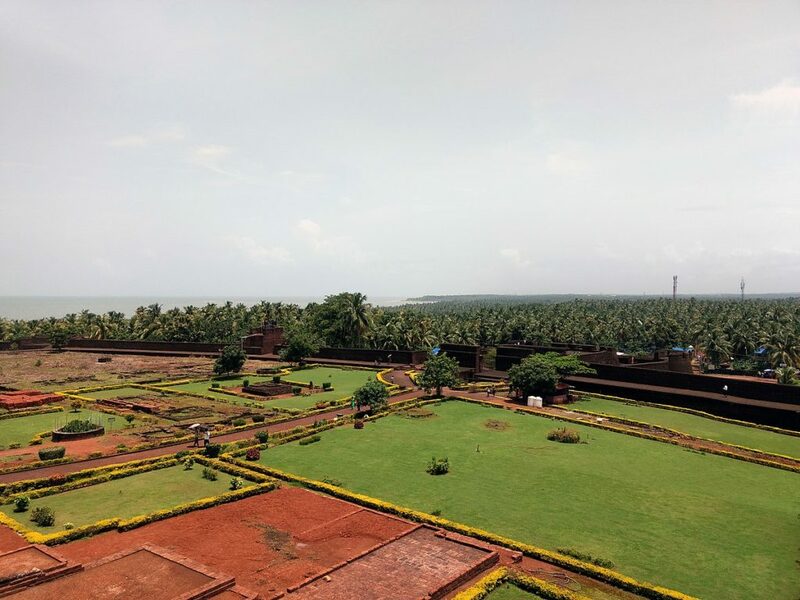 You can visit the Bekal and Chandragiri Fort. 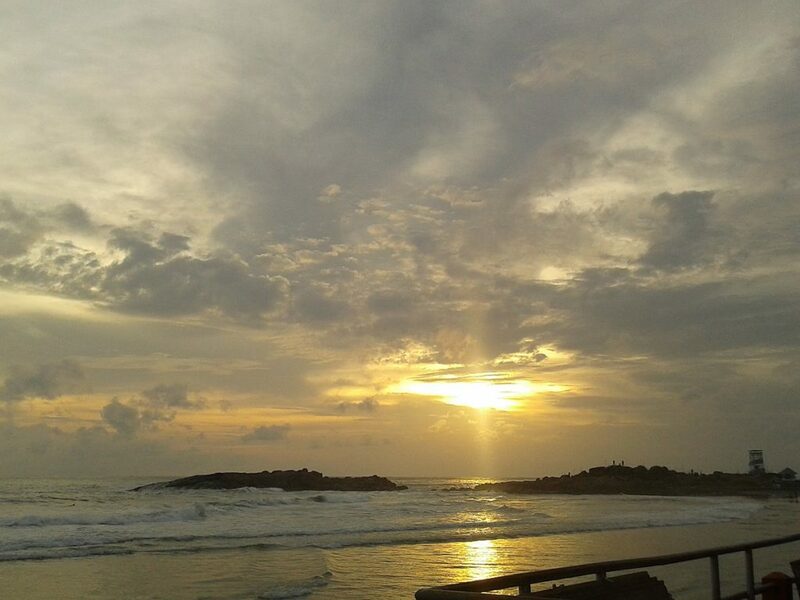 From the fort of Bekal, you can enjoy the beautiful sunset view. 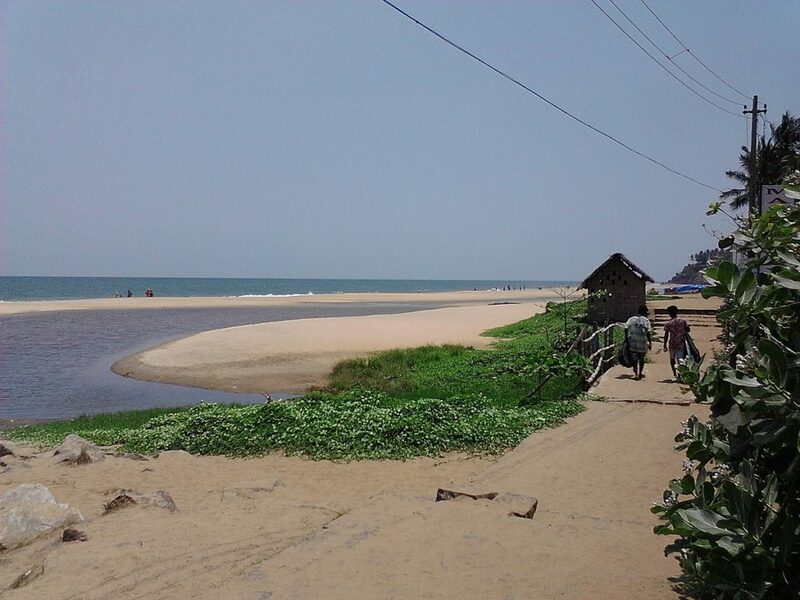 There is also Kappil and Pallikere beaches where you can visit with your loved ones. How to reach: The nearest airport is in Bajpe, which is just 72 km away from this place and the nearest railway station is in Kasaragod, which is just 12 km away. The tourists can take the bus or hire a taxi to reach this place. The place Kozhikode is one of the best places to visit in Kerala which is famous for its organic foodstuff. It is also famous for boating in the Kozhikode Lake using colorful boats. It is also famous as Calicut which is one of the busiest places in Kerala. it is popular for the history, education and culture activities. Some of the most famous foodstuffs of this city are Dum Biryani, Dal halwa, and Chatti Pathiri. Things to do: The tourists can enjoy the organic foodstuff of Kerala like Dum Biryani, Dal halwa, and Chatti Pathiri. They can enjoy the waterfall of Thusharagiri and Kozhippara. There are also some beautiful beaches Kappad and Kozhikode Beach, where you can enjoy with your loved ones. How to reach: The nearest airport is in Karipur, which is just 28 km away from this place and the nearest railway station is in Kozhikode, which is located in the city. The tourists can take the bus or hire a taxi to reach this place. It is one of the best places to visit in Kerala which is famous for its beautiful scenic seasides. One of the most famous places to visit is Varkala beach. On the one side of Varkala, there is a tempting coastline and the other has beautiful greenery. This place is famous for various water sports like boat riding, parasailing, horse riding, and others. This place looks more beautiful during sunset. The colorful rays of the sunset full the whole atmosphere which makes it look amazing. Things to do: the tourists can enjoy the amazing view of the sunset. There are some beautiful beaches like Varkala and Papanasam, where you can enjoy with your loved ones. The tourists can also make a visit to the temple of Janardhan, Sarkara Devi, and Vishnu. How to reach: The nearest airport is in Trivandrum, which is just 53 km away from this place and the nearest railway station is in Varkala Sivagiri, which is located in the city. The tourists can take the bus or hire a taxi to reach this place. All these are the top 10 best places to visit in Kerala. 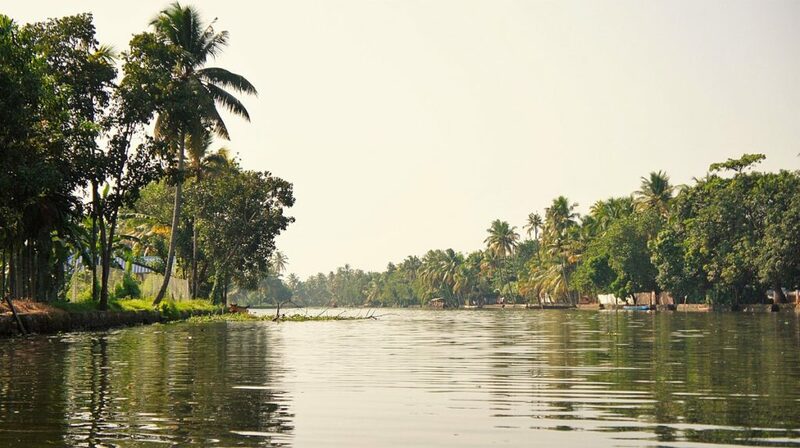 If You are planning a trip to Kerala than you should definitely add these places to your List.